What is it with Chumlee, Corey, and Rick of Pawn Stars? Seeing how they seemingly love each other and still show so much animosity is quite a feat. While there is plenty of the entertainment included for each episode, there is still the actual business that does not get enough of the attention for some viewers. Thankfully, the humor and sarcasm provide enough filler to keep the interest and attention on the show. So, what is it about the whole pawn shop industry that becomes appealing just because of some reality television spin on the industry? Some have commented that a little concern is warranted about scaring off potential customers who don’t typically frequent pawn shops. On the contrary according to Emmett Murphy, Public Relations of the National Pawnbrokers Association. 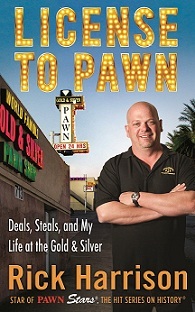 He has publicly stated that the reality television show, Pawn Stars, has given a boost to the pawnbroker industry. Not only has the industry seen tremendous growth in the past 12 months, but it has developed some diverse means for producing additional revenue. One of the most popular in this day and age for the Boca Raton pawn shops is the loaning element. People of all walks of life are utilizing the opportunity to get loans on their personal items during these difficult and challenging economic times. Now, this is a true blessing to so many of those struggling. Typically, when times are much more fruitful, it is easier to feel as though discretionary spending is justified and not considered a strain on the budget. Fortunately, this decision to spend in good economic times has paid off in a big way for some when they later need cash to manage their personal affairs and augment their strained bank account. What has become a booming business, pawning personal items for cash as a loan, breathes life into pawn brokers and availed anyone in need to get much needed cash in a very short amount of time. No matter what your opinion of pawn shops or the Pawn Stars reality television show, a tangible purpose exists that millions across the country find beneficial during tough financial times. By now, everyone has either enjoyed or endured the Harrison family and their popular “reality” show, Pawn Stars! So it’s really no shocker that someone took the initiative to branch out the product endorsements and have a book written for them. Will you buy it? Me… I think I’m waiting for the Pawn Store malt liquor to hit the shelves! Or maybe the Chumlee microwave HungryMan entres! Rick, his son Big Hoss, and Rick’s dad, The Old Man have very little going for them if they ever want to have a clothing line or a fragrance for men, but they DO have the knack for the pawn business. You might say that if anyone was born to pawn, it was the Harrison’s. So, I think this book is worth a read, if only to really understand the inside track of the pawn industry. I’m curious what tips and tricks they have to offer. Plus… I can’t wait to read the parts Chumlee helped write! For pawn news or entertainment, visit us again. Better yet, share us right now! Use the buttons below to tell your friends about this book. Boca Raton Pawn, your preferred Boca Pawn Broker.